Mobile application development firms are surging in number as the demand for better user engagement and experience increases. Today’s business community has been leveraging the functionalities of mobile application solutions in various aspects of their business to add more value and bring flexibility and transparency in their daily operations. According to the latest research data from Yahoo’s Flurry analytics, about 90 percent of consumers’ mobile usage is spent on mobile applications. This insight has influenced businesses to operate in mobile-optimized platforms to target their business and sales operations. A lion’s share of credit goes to the ubiquity of mobile devices and smartphones that also has driven businesses to up their game in terms of marketing, communication and customer experience. Now it takes more than just building a website that is mobile friendly and involves moving all important physical functions to the virtual world. Besides, mobile applications are an interesting way of garnering the attention of millions of possible customers and even users within the organization to plan and execute relevant actions in real-time. Moreover, mobile apps are best suited for enterprises and businesses of all kinds regardless of their size and capital. Increase Reach to Market and Customers: As per the recent statistical data, the average number of mobile phone users is expected to reach 4.68 billion by 2019. Which means the average audience for businesses to reach and get them to use their mobile applications would be in huge number. This not only helps businesses to identify and reach their target audience in less span of time but also penetrate deeper into the market space to broaden their reach. Develop Direct Marketing and Sales Channels: In a traditional marketing and sales scenario, a brand or business will have to undergo many layers or channels to reach their target customers. But, mobile application development companies build device agnostic apps with basic functions like product information, prices, booking procedures, user accounts, message, news feed, etc to establish a direct interaction with customers and its target audience. This saves time and cost on sources to reach customers. 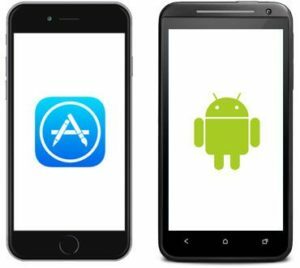 Increase Brand Awareness and Customer Loyalty: The thumb rule followed by many smartphone application development companies is to make the end users or customers revisit the application. A mobile app with all the relevant functionalities, navigation features and content would have higher odds of repeated visits from customers that may lead to sales conversion. A mobile app also becomes a hub to push promotional messages and represent brand philosophy in an effective manner. Improve Customer Engagement and Experience: A mobile application platform of a business with user-friendly dashboards and click options help simplify basic functions like navigation, placing an order, studying a product or checking its size, color or alternative. This reduces the average time spent by customers on the application or webstore, leading to faster conversions, buying transactions, and satisfied customers. Outshine Market Competition: Mobile application development companies help businesses create their own apps that resonate their objectives, brand value, product or service functionalities through compelling content, responsive design layouts and appropriate call of action options. The uniqueness of the apps helps businesses to chart out their own story, concept or business idea to engage with customers, thereby overcoming market competition and stand out. Enable Marketing Automation: Mobile apps to capture users’ data such as email, contact number, etc can be leveraged to run marketing campaigns on other channels. Besides the data can be used to analyze their buying persona and online behaviors to send personalized messages and campaigns through the right channels at the right time. Increase Profit Margins: A responsive site and a user-friendly mobile app can slash operating costs and expenditure on secondary infrastructure or site to manage those apps. Besides, the mobile-first, device-agnostic design will boost customer engagement levels leading to increase in sales and profit. Create Higher Value for Customers: Mobile application solutions promise the development of platforms that add higher value for business as well as customers by allowing campaigns and promotional strategies like rewarding loyalty points, sending notifications and personalized messages to inform them of a particular product or service. Besides, the virtual assistance features like chat bots ensure the customers find answers to their queries in real time and provide them important information related to product or service.